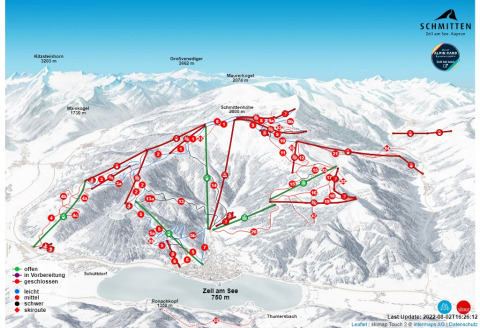 Ski resort ratings for Zell am See compared to all other ski resorts. Based on 180 reviews. Zell am See is the party town in the Alps. The apres-ski and nightlife is very lively, lot\'s of young people. Zell am See is a charming village next to a large lake. The lake is almost allways frozen during the winter. The skiing in Zell am See is great. It suits the intermediate skier. Slopes are quite long. Not every part of the skiarea is very sunny, you have to move according the time of the day. Please dont forget to the local food in one of the many small mountain restaurants.